Deutsche Bank Plans to Expand New Payments Service for Airlines to Other Industries, Though No Rollouts Yet Scheduled | NFC Times – Near Field Communication and all contactless technology. Germany's largest bank, Deutsche Bank, is planning to launch a pilot late this year with at least one air carrier, probably Lufthansa, to test online ticket purchases with account-to-account bank transfers, under the European Union's revised Payment Services Directive. The bank is working with the large airline trade association, IATA, which is seeking to cut billions per year in credit and debit card fees. Deutsche Bank, working with its client, large airline trade group, the International Air Transport Association, or IATA, said the goal of the scheme was to reduce what IATA says is up to US$8 billion in credit and debit card processing fees and fraud airlines incur every year–though that estimate appears to be too high. And contrary to published reports, the bank–with IATA–is not scheduled to roll out the service across Europe by the end of 2018, NFC Times has learned. Instead, only the pilot is to be launched by the end of the year, the Deutsche Bank spokesman said. “We are in contact with airlines in Europe via IATA for the new payments model,” the spokesman added to NFC Times, though he declined to name any of the airlines. 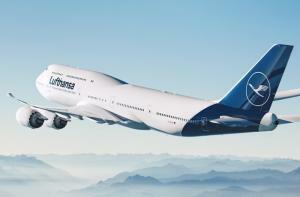 At least one, German flagship carrier Lufthansa, is planning to participate in the pilot, according to reports. IATA is not commenting.